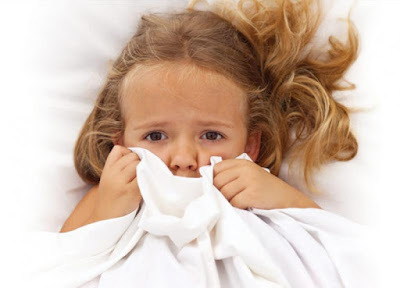 Home / Children / Children Tips / How To Remove Fear from Child Mind. How To Remove Fear from Child Mind. How to remove fear from child mind? Fear is a feeling that everyone can experience in response to the dangers that arise, or psychological reactions that help mobilize a person's body to react to danger in their daily lives. With this reaction, a person's behavior can change automatically to anticipate the dangers that come. This feeling arises from within a person characterized by the rapid burst of the heart and avoiding uncomfortable places or situations. However, children can not do the same thing as adults when facing fear. When fear strikes the child, he will seek the protection of his parents. The reaction will be delivered by word or action. Sometimes the fear that arises in the children comes without the cause. Even with a simple illusion, the child is already afraid. The fear or insecurity that arises in a child is a form of emotional response to a threat. Fear is a form of basic emotion as well as happiness, anger or sadness. Fear is a natural thing if it does not happen excessively. The fear experienced by children will cause discomfort and panic. The type of fear that is usually experienced by the child is fear of darkness, separation with parents or afraid of new people. Excessive fear will adversely affect the child's psychological development. Therefore you as a parent should help the child to overcome the fear so that his growth is not disturbed. The development of child fear. The reaction of fear experienced by children can only be known and expressed when he was at the end of the age of 4 months. At this age, we can see the fear of the baby will arise when the baby sees something that is unknown or something unfamiliar to him. In response to his fear, the baby will usually search for his or her parents and hold him close. Until almost the age of 1 year, the baby loves to play alone, and the fear gradually began to decrease. At this age, the baby is able to convey a message of acceptance, likes, refusal, or fear. After the age of 1.5 years (one and a half years), the fear of an unknown person has decreased, so he can interact and share with the surrounding environment, and can already play with others. Since this age, there will be indications or signs of the problematic behavior of the baby. As he grows, he can already know himself. If education and parenting are done well, then he will catch and easy to interact with others. The child will dare to take risks and not afraid of situations that make it difficult. Thus, the association with parents will decrease when faced with fear. The variety of parenting education and parenting provided to the child can instill confidence in the child and not worry when faced with fear. All parents must love and love their children, even some parents are a very indulgent child. Sometimes the attention and affection of the elderly to the child may be a factor in the child's fear. Because of the love, parents sometimes forbid the child to do something by frightening him. Excessive parental feelings like this can be a cause of fear in children. Sometimes families do not pay attention to children's watch material. They are less concerned that sometimes television or entertainment media gives horror and scary shows. Usually, children do not show their fear directly, but the fear will arise from the temperament or nature. For example, children are afraid to sleep alone or have nightmares. If observed, at first the child will often play with animals fearlessly with the dangers of the animal. Because of fear, her parents frighten or immediately lift with a worried attitude. From the attitudes of parents who witnessed and felt the child, over time, will appear fear in the child. When the child's fear has arisen, he will usually seek parental protection. At times like this, parents must be good at finding good ways to interact with children, and understand him about his fears, and find the right solution to eliminate the child's fear. Being hit or scolded by parents. Children's hard education methods such as screaming and beatings are sanctioned when children commit unnatural acts, can eliminate confidence or cause a sense of inferior (fear) on the child. We should as parents avoid them as much as possible. Even if the behavior of the child makes us angry and loses patience, keep it to say good words or curse as a prayer to the child. Indeed we are allowed to hit children when children do not pray at the age of 10 years, but keep in mind that the punch is not painful (taken parts that do not cause pain like buttocks), and even then there are big rules of tools used and the harshness of the punch allowed. Improper interaction from helpers, nannies, drivers or people around. Sometimes because of the strong beliefs parents have on their close people (helpers, drivers etc. ), parents are less concerned about their temperament that may be snappy, angry or even hit. Many people assume that young children will not understand anything. This is not the case. Because actually the children also understand the commotion and helped shape the character of the child, of which will create fear and low self-esteem. The birth of a baby in the family. It should be noted that children are the most sensitive people. When there is a newborn baby in the family, the child will feel afraid of losing his rights, deprived of family affection for him, and diminished the attention of both parents to him. The fear of this condition depends on the attitude of the parents and the family. If not anticipated quickly and directed with jelly, then gradually will lead to changes in the nature and temperament of children such as bedwetting, often fussy or others. How to overcome child fear. Do not be surprised by the fear that your child is experiencing! Just listen, and help your little one to express his fear. Try to know the cause of the fear. Provide a sense of love, security, and affection to the child through words, attitudes, and deeds. Show a special feeling to the child. State that he is the most important part of our lives. Talk to your baby as if he is the one who understands what is being said, even though it is not. Because his emotional feelings will be related. Avoid mocking, yelling, scolding or hitting him for fear. If the child's fear is continuing, such as the fear of sleeping alone, then help the child by talking to him about his fears. Make sure your child is not covered by a maid, nanny, driver or neighbor. You should never talk about fear experienced by the child to others. This will make the child feel humiliated and mocked so make the child become embarrassed. The fear experienced by the child should be your secret and immediately overcome by growing confidence in the child. When your child is frightened, you should never laugh at or belittle the fear. The habit of laughing at the fear experienced by the child will affect the psychological development of the child. You should give your children a sense of security when they get scared. You must help to eliminate the fear in the child's mind. Also, read Children Fear Swimming? These 8 Tips To Make Child Comfortable In The Water.